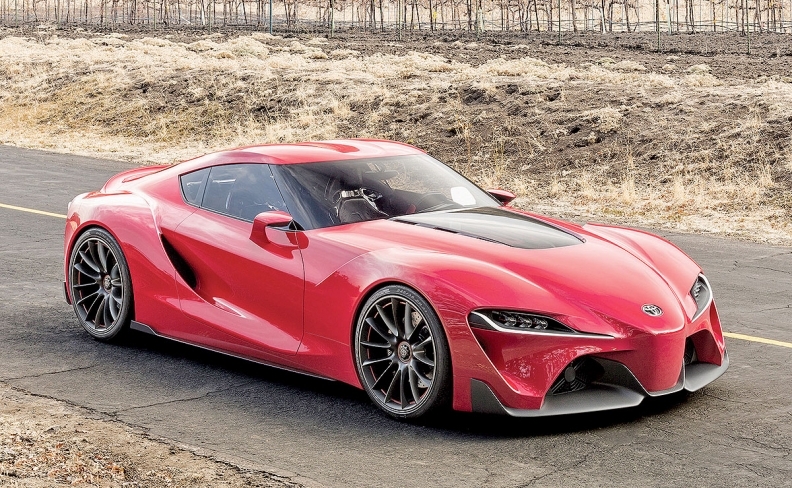 Humphries is charged with ensuring Toyota's next Supra stays faithful to the FT-1 concept, above. NAGOYA, Japan — Toyota's new global design boss, a British stylist who draws inspiration from 1980s Sony gadgets and has a taste for curry and beer, doesn't buy into the vision of a bland future of commoditized, cookie-cutter pod cars. On the contrary, says Simon Humphries, 50, the coming era of car-sharing and autonomous driving will trigger a boom in cool, ultra-emotional designs for personal transportation. "A lot of people who really do like cars are kind of worried about the future, and I see it the opposite way," said Humphries, who started Jan. 1 as executive general manager for design of the Toyota and Lexus brands, filling the shoes of former design guru Tokuo Fukuichi. "It's going to be more beneficial. You're going to get much more specific cars." Future streets undoubtedly will be clogged with commodity runabouts tasked with getting people from point A to point B, he conceded. But with people relying on common mobility networks as their basic transport, they can better afford specialized niche vehicles for private use. "If the majority of your transport needs are fulfilled with that type of transport system, then the other side of it — the good side — is you can buy a sports car that really is a sports car," Humphries said. The Toyota designer begs to differ with the likes of former General Motors Vice Chairman Bob Lutz, who envisions a sea change in which "human-driven vehicles will be legislated off the highways" and replaced with autonomous modules — all as early as 20 years from now. "The specific mobility — the stuff that you are buying for yourself — will become increasingly emotional or specific to purpose," Humphries said. "And that's a really good thing." Humphries joined Toyota in 1994 and played a key role in developing the "L-Finesse" design language for Lexus. Humphries believes that the divergence between utilitarian "mobility pods" and ultrapersonalized private rides will occur sooner than many people assume. "We've passed the tipping point," Humphries said. "Everybody's taking it incredibly seriously and now it's a race. But there are lots of hurdles before it reaches that utopia." Toyota has been preparing for both trends, and Humphries will continue the work. "We had a pretty clear idea about what we were going to do, and I intend to continue that very aggressively," he said. A glimpse of what that future might look like can be seen in Toyota's e-Palette concept, shown last month at CES in Las Vegas. It is an autonomous, electric boxcarlike rolling work and living space on eight wheels. Toyota would develop the undercarriage and platform — but let others customize the shell for their needs. Think mobile field office, rolling pizza parlor or on-the-go shoe store. E-Palette was designed by Humphries' team at Toyota's European design studio in France, where he was president from July 2016 until taking the global helm in Japan last month. While in Europe, Humphries also tended to the other end of the design spectrum. Part of his mission, according to a person familiar with the work, was wrangling with BMW engineers over the sports car being jointly developed by Toyota and the German partner. The Toyota version is a successor to its legendary Supra, expected to debut next month at the Geneva auto show. It is expected to get a BMW engine and underbody, with a Toyota-styled top. Humphries' duty was to ensure the production version stays faithful to the hot looks of the original Toyota FT-1 concept unveiled at the 2014 Detroit auto show. 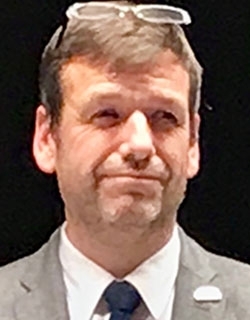 Humphries, fluent in Japanese, joined Japan's biggest automaker in 1994 and played a key role in developing the "L-Finesse" design language for Lexus. Earlier works included such quirky compacts as the Japan-market Toyota FunCargo and Toyota bB, a sibling to the Scion xB offered in the United States. In 2001, he even penned a seminal pod car, aptly named the Pod concept. Humphries still looks to Sony devices from that company's 1980s product heyday, and at current Apple electronics, as paragons of minimalist futuristic functional design. But now, as global design chief, he says his operation must assume a much wider role than simply styling cool cars. Designers must consider all manner of new mobility. "We're going to be a mobility manufacturer, and mobility doesn't necessarily mean four wheels," he said. "We sell freedom for people, the ability to move as they want to move. If you start to really broaden your mind, that could be anything."